Akbar Mirza of Hicksville is a busy man—he works for a technology company and also has a travel business, but drive by the Islamic Center of Long Island in Westbury on a Friday or Sunday morning, you’re likely to find him digging in the soil around the mosque planting flowers. “We want our neighbors to be happy,” says Mirza, who is a member of the Center. The garden crew does more than beautify the grounds. If you drive around the neighborhood, you’ll see that their planting extend beyond the boundaries of the center and the volunteers also spends time going through the neighborhood, picking up trash and tidying up areas where there might be some debris from the wind or rain. “We want to be a positive presence in the neighborhood,” says Ahmed. This is very much in keeping with the teachings of Islam from the Quran and Hadith (teachings, deeds and sayings of the Islamic prophet Muhammad), which instructs believers to treat their neighbors well. 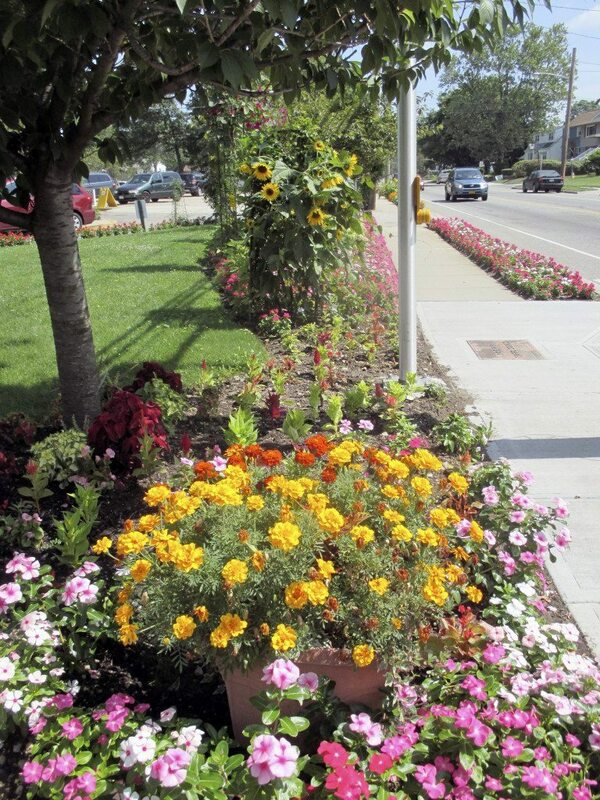 In addition to the plantings around the center and in the neighborhood, the Peace Garden welcomes visitors. The garden was formally established on the tenth anniversary of September 11th. 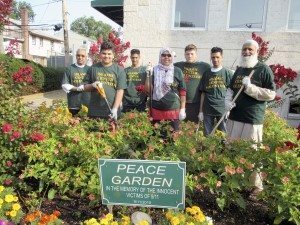 “This garden reminds all the visitors—Muslim and non-Muslim alike—that peace is the best alternative to war, death and destruction,” says Ahmed. In the Peace Garden are 25 hybrid tea roses. To add more color to the garden, there is vinca, marigolds, sunflowers, four o’clocks and ornamental corn.